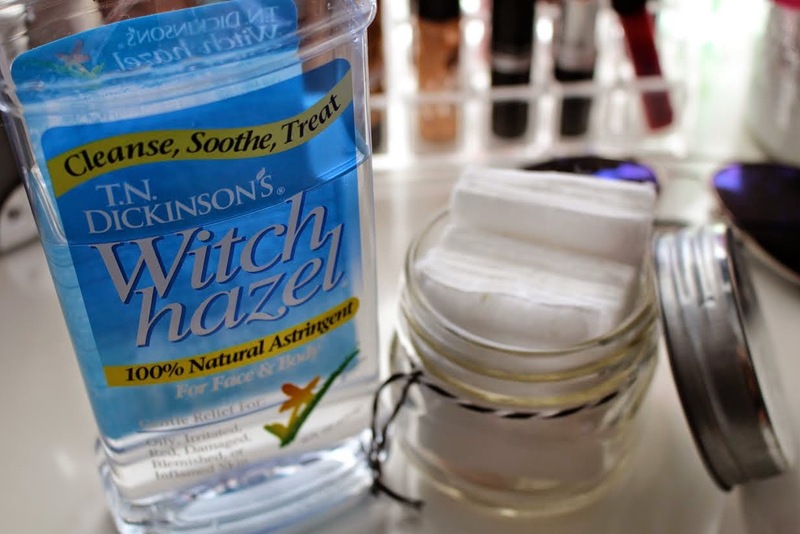 I discovered Witch Hazel this past summer and it honestly changed my life, seriously people! It has become my holy grail. I have never used one single product for so many different things. I originally got Witch Hazel because I had a mosquito bite on the back of my each thigh, (weird huh?) that left scarring and looked horrible (#FirstWorldProblems). I needed something to help fade the scars. After using witch hazel for a about month, it cleared away the scars. You don’t understand how excited I was! The bottle clearly said ‘Great relief for: blemishes’ but I didn’t know what that exactly meant. After doing some research I started using it for a lot more! 1. Toner– For the past three months, I have used Witch Hazel as a toner. Having sensitive skin anything that is alcohol-Free works best for me. My skin tends to get really dry with other toners and then I have to find a moisturizer to keep my skin moisturized but then what? My skin gets oily (bummer!) With this product, I don’t even need to apply a moisturizer sometimes, HELLO! 2. Perfect for Oily Skin – My mom always tells me to be happy that I have oily skin because ill age slower (is this even true?) but it’s not cute to look sweaty 15 minutes after applying your make up does it? My T-zone tends to get oily fast. I apply witch hazel on my t-zone to get rid of that excess oil. 3. Acne/Blemish Treatment – Around that time of the month, I may get that annoying pimple coming to say hello to the world, haha! I take a cotton square/round and dab it on the pimple to reduce redness/inflammation. Honestly, within days it’s gone! 4. Soothes Razor Bumps – Pour witch hazel into a bottle and spray it onto any area to soothe your cuts and burns from shaving. I have switched to epilating in stead of shaving and my skin doesn’t get irritated much but I still spray some Witch Hazel on my legs to prevent bumps or burns. I hope you find this useful, good luck!